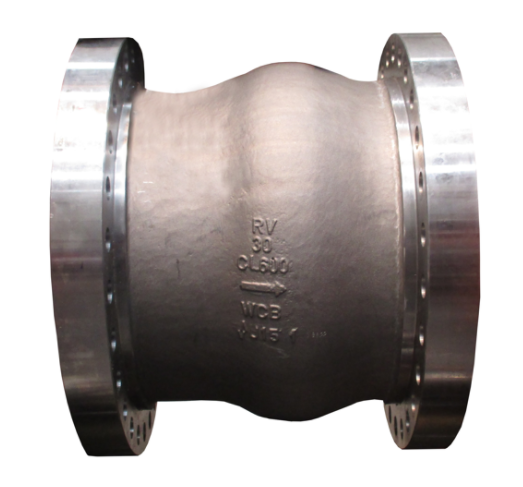 Check valves are used in numerous installations for various purposes and it is always a challenge for the planning engineer to find suitable return flow preventers. Often it does not become evident until a plant is being run on test that the selected non return valves slam heavily and produce high pressure peaks which exceed the permissible pressure to such an extent that the installation and the surroundings are endangered. A further important factor in the present and future is economy (the savings of energy). A feature of the Samson Ringo Axial Flow Check Valves is its inherent non slam characteristic. This is achieved because the valve reacts so quickly to flow changes. This causes that the valve change the point of closure without letting any possible reverse flow. This avoid water hammer effect for liquid service and ensures no chance of reverse flow into the compressor for gas service. Low pressure drop and turbulence due to the streamlined flow path. Extremely long service life because the moving parts are not subjected to the shocks associated with typical asymmetric valve designs. The valve has no soft parts to wear, cause misalignment, or need replacing. 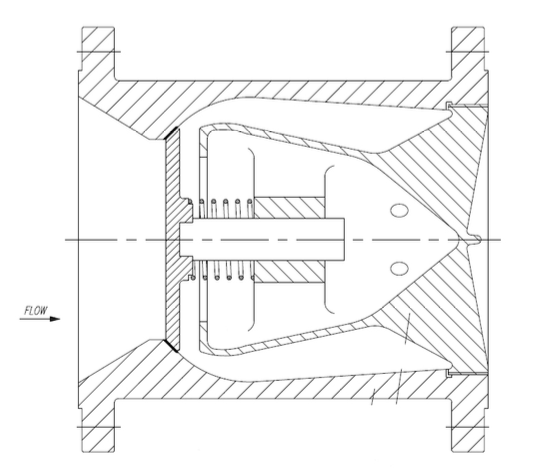 This is the design commonly used for valves below 12″. 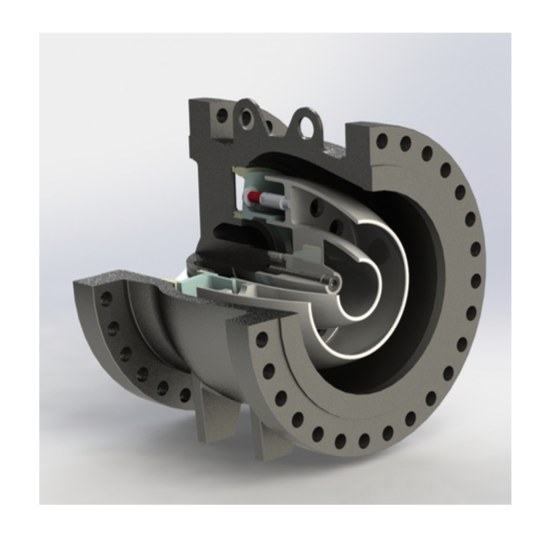 In this design, typically used for sizes 14″ and above, main advantages are the low friction, quick response and low pressure loss. Cr-Mo Alloy Steel : A217-WC6, A217-WC9. Cr-Mo-V Alloy Steel : A217-C12A. Nickel based alloys, Hastelloy, Inconel; Monel. Titanium. Martensitic : A217 Gr, CA15. Nickel based alloys, Hastelloy, Inconel; Monel Titanium. Stellite: Hardness HRC 45 RC & Maximum working temperature 500oC. Tungsten carbide: Hardness HRC 74 RC & Maximum working temperature 550oC.